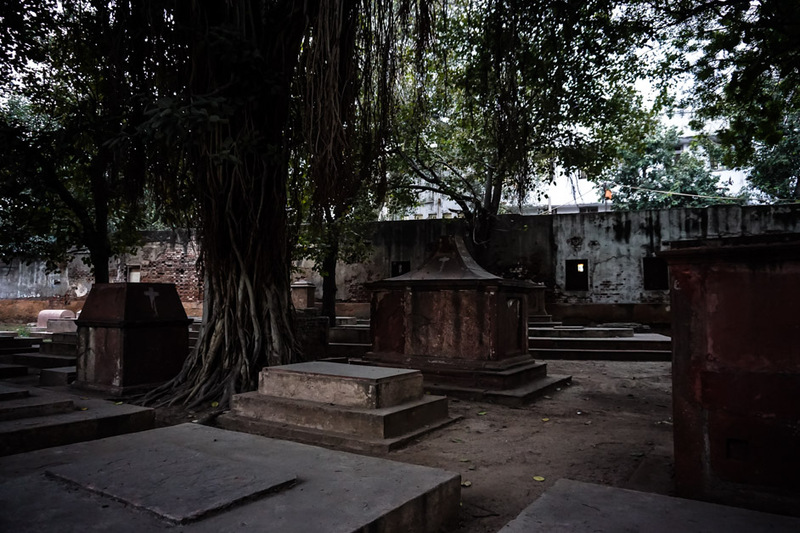 Deep in the heart of Delhi, India lies an unsuspectingly creepy, little cemetery. 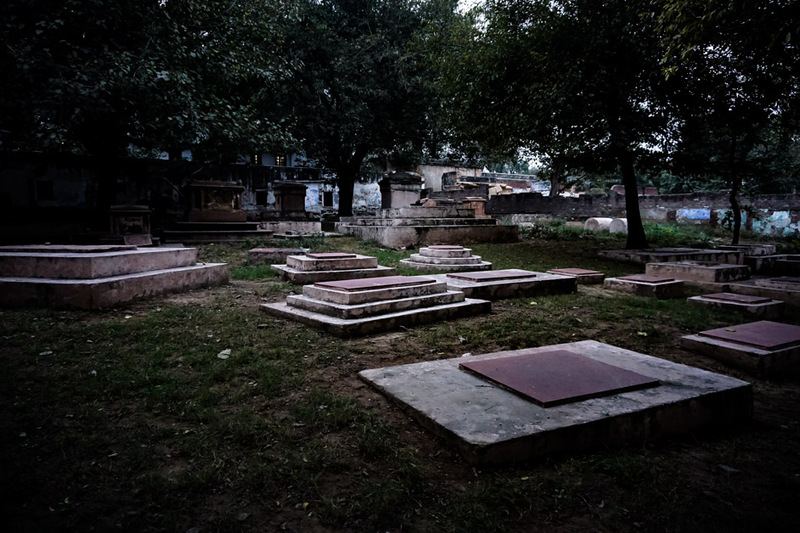 The Lothian Cemetery is the oldest of the Christian burial grounds within the city of Delhi. It accepted interments from 1808 to 1867. 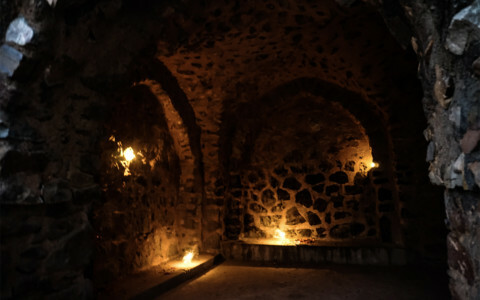 However, it is rumored to have been used as a burial ground for many years before this. Its land was a former Muslim cemetery, used to hold many distinguished individuals, before being taken over to primarily bury English soldiers. 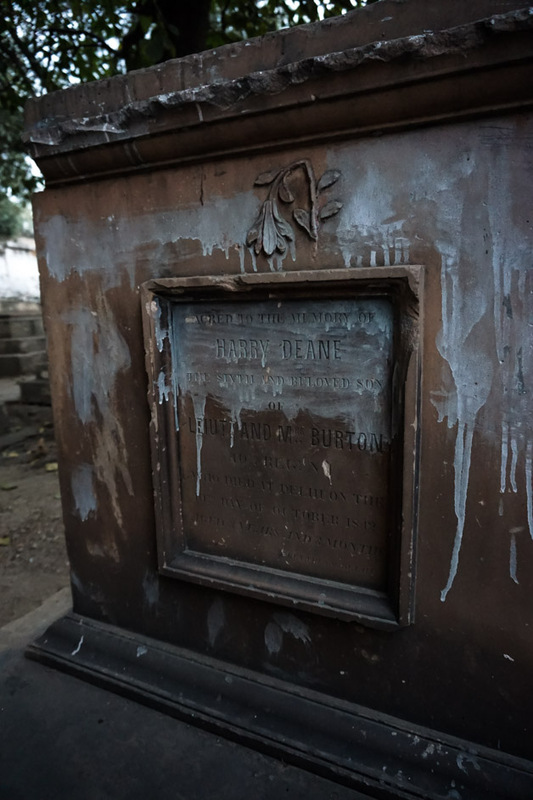 Strolling through the haunted Lothian Cemetery of Delhi, India. Due to the Lothian Cemetery’s age, historical turbulence and ghastly appearance it has accumulated a number of ghost stories. Writing upon one of the aging tombstones of the Lothian Cemetery. The Lothian Cemetery’s most famed ghost is that of a headless British soldier, best known as Sir Nicholas. This unfortunate soul became trapped at the cemetery after taking his own life and being buried there. Sir Nicholas is said to have shot himself in the head after finding out that the Indian woman he had fallen in love with was already married to another. He is said to now walk the cemetery headless, or sometimes clutching his own decapitated head, calling out in search of his lost love. Looking for the cemeteries many ghosts. Another ghostly apparition is commonly sighted wandering the cemetery. This one is that of a young boy. He has been known to ask visitors for assistance in finding his parents before disappearing shortly after. A crumbling tombstone in Delhi’s oldest Christian burial ground. Our final ghost story relates to some unruly spirits that are disgruntled with their current burial status. Since the original cemetery was disturbed to make way for new interments, a number of spirits are now said to rise at night for retribution. Often picking fights with the spirits of others said to wander the area. The many graves of the Lothian Cemetery. 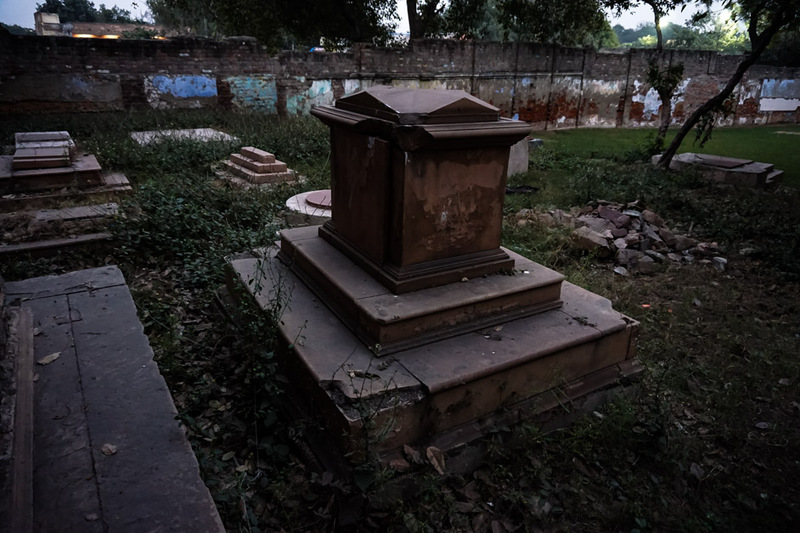 The Lothian Cemetery is a place containing much historic value within Delhi, India. 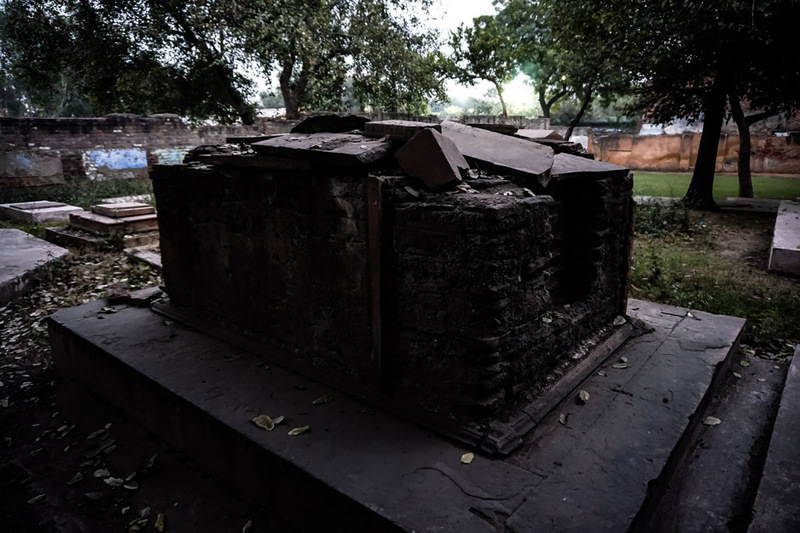 It is in the midst of being restored as many of its grave markers are faded and worn by India’s harsh elements. 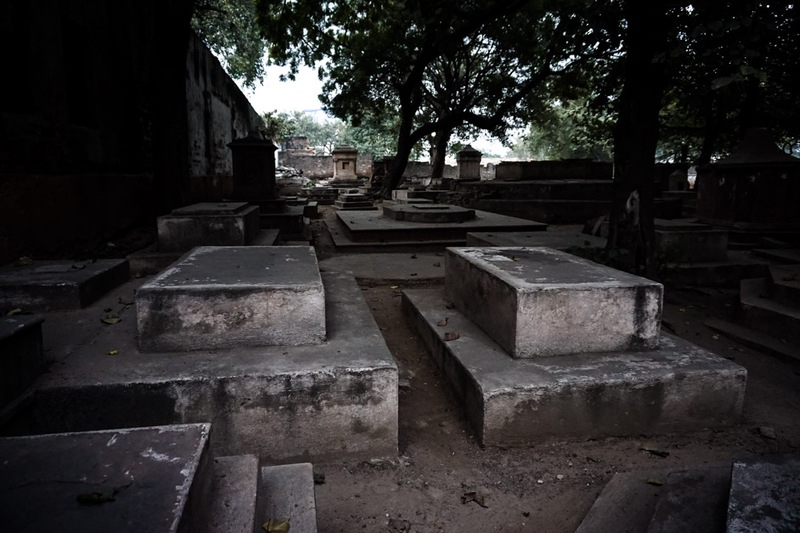 You’ll find the cemetery at Netaji Subhash Marg, Priyadarshini Colony, Kashmere Gate, New Delhi, Delhi 110006, India. Entrance is free and the location is open daily. A large tree growing amongst the Lothian Cemetery’s graves. 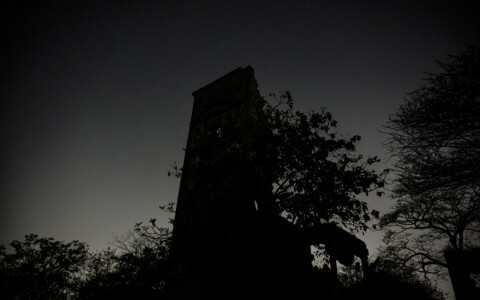 If you are looking for more info about haunted places in Delhi, here is a full list.